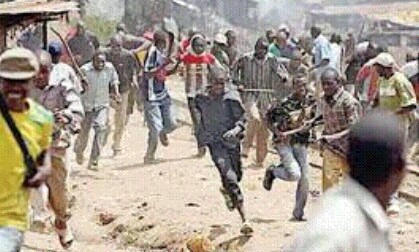 At least 10 persons were killed by gunmen that invaded rural settlements in Daffo District of Bokkos local government area of Plateau State on Friday. The Councillor representing Daffo District in the Bokkos LGA, Mr. Danjuma Wabas, who confirmed the figure, said the victims were given a mass burial. He said those killed included five women, four men and an infant. Many houses were burnt down by the attackers while fear-stricken villagers had fled to Daffo, Bokkos and other areas of the state. Among the houses burnt was that of a former deputy governor of the state.